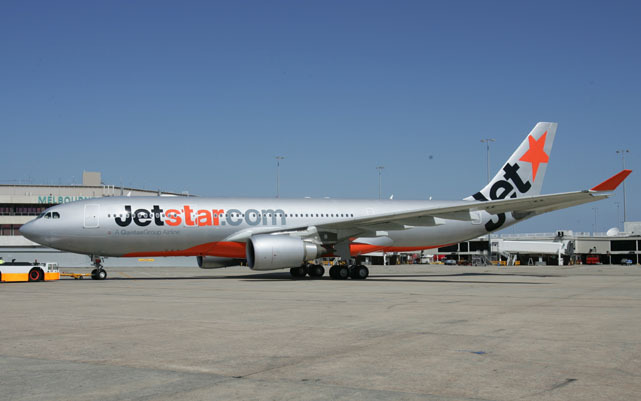 Jetstar has announced that its first widebody routes from its Singapore long haul hub will be to Melbourne and Auckland from December and March respectively. The airline will operate daily direct services on the Singapore-Melbourne route with two class Airbus A330-200s from December 16, while direct daily flights to Auckland will commence on March 17 2011. Jetstar has commenced sales on the Singapore-Melbourne route, releasing some launch fares from $99 one way, while Auckland fares will go on sale soon. Qantas will codeshare on both services. “Connecting our three largest operations in Australia, New Zealand and Singapore strengthens each of these businesses and builds a solid foundation for future growth beyond Singapore to North Asia and Europe,” Jetstar CEO Bruce Buchanan said. Interestingly, it appears that the Melbourne-Singapore services will be operated on Jetstar’s Australian operating certificate, with the flights bearing the ‘JQ’ designator, while the flights to Auckland have the Jetstar Asia ‘3K’ designator. Jetstar already operates a daily one-stop service between Melbourne and Singapore (via Darwin) with its fleet of A320s. It also flies daily from Perth to Singapore with A320s. Jetstar is also expected to announce further widebody routes from Singapore in coming months as it establishes its long haul hub there and seeks to compete with Kuala Lumpur based AirAsia X. Services to destinations in southern Europe or North Asia are understood to be under consideration.